One of my favorite books of last year was Katie McGarry's debut Pushing the Limits... so naturally, I couldn't wait to get my hands on the companion, Dare You To, which focuses on Beth and Ryan's story. It is, as I expected, wrenching and amazing and endearing. So to celebrate the upcoming release of another fantastic novel, I've got an interview with Ryan (holy cow, he makes me melty! ), and a chance for you to win an ARC of this must-read book!! So let's get to it! What's the first thing you thought when you woke up this morning? How Beth is. She’s had a rough couple of weeks and while she tries to act like everything that’s gone down isn’t bothering her, I know it is. So Beth is, admittedly, pretty volatile at times. What's the best and worst thing about that? Ryan chuckles. Nuclear grade plutonium is more stable than she can be at times. But seriously: when Beth loves—she loves. When she feels—she feels. She’ll call me out on my crap faster than anyone I know and she’d stand up for me or any of our friends in a heartbeat. But when Beth hurts, it’s hard for her to let anyone help her. She’s working on it though. With Beth, I can’t push her. I have to let her ask for my help. The good part is—she’s asking for help faster than she used to. Your first meeting with Beth doesn't go so well for you. If you could change it, would you? No. I love how we met. She was one hundred percent her and I was one hundred percent me. If the two of us are anything, it’s all or nothing. What's it like to kiss Beth? Have you ever been with someone and you know the moment you walk away that you’ve left your heart behind because they now own it? That’s what it’s like with Beth. Her lips are soft and she’s so damn tiny. When her body is tucked close to mine and we kiss—I no longer feel like a part of me is missing—I feel whole. What's the weirdest dream you've had that you remember? I had a dream that Beth played short stop while I pitched during the World Series. She kept asking if the game was over yet. In case you’re wondering, Beth doesn’t play ball. Do you realize that no matter how I answer, Beth’s going to ride me over this? The moment I give one type of cookie, she’ll drop that cookie into every conversation we have just to see how long it’ll take me to lose my mind. Because I enjoy my sanity, I think I’ll skip this one. Thank you, Ryan, for stopping in and tolerating my ridiculous questions! This contest is US only, and ends April 10. No entries will be accepted through the comments, but you should totally leave one anyway. 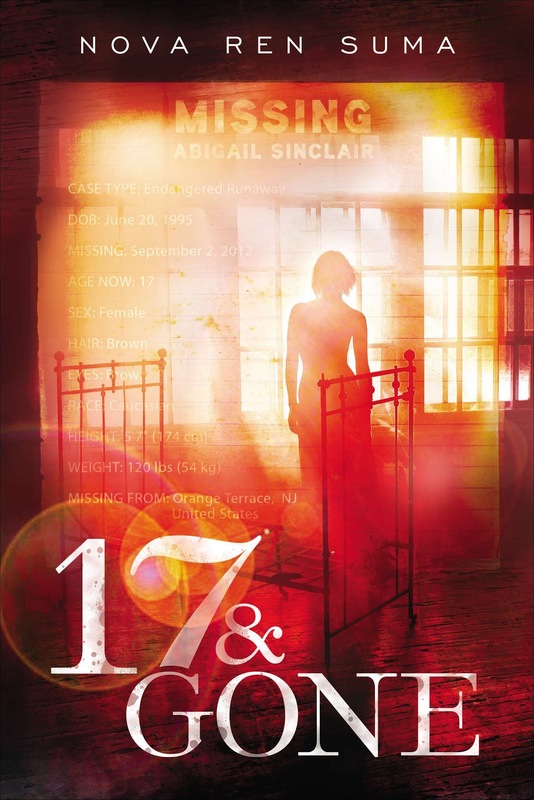 Out last week is one of my favorite books so far this year, by an insanely talented author: 17 & Gone by Nova Ren Suma. This book is mindblowing, breathtaking, and painful, with a stunning execution. 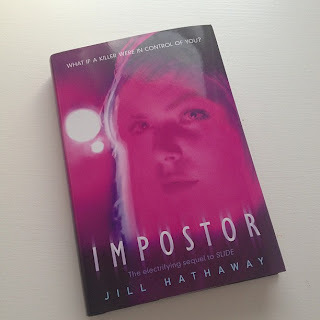 And to celebrate the book's release, I've got Nova stopping in today with a guest post, with the next photo she used as inspiration and motivation during the writing of this book. Last year, when I was deep into writing 17 & Gone, I discovered an exciting new distraction and way to collect images that fascinated me: Pinterest. What started off as maybe one more thing to keep me from writing turned into a great source of inspiration, and my 17 & Gone inspiration board was born. I’d often write with the images up on my screen, staring at them in pauses between paragraphs. 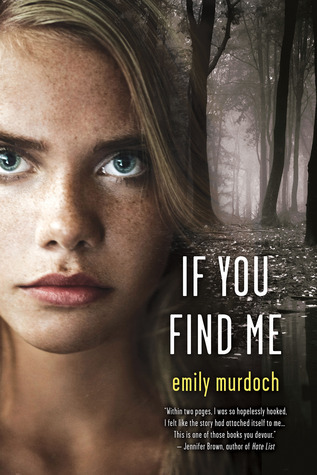 On each stop on this blog tour I’m highlighting one of the photos that spoke to me and helped me find my way through the darkness of writing this book. Today’s photo—one that sends a jolting shiver down my spine whenever I look closely at it—is by one of my favorite photographers, Brooke Shaden. Her work is hypnotic and magical all at once, and in this particular image what strikes me the most is the perfect little details: the face pressed to the other side of the wall and protruding, the two thighs and knees, the five fingertips. And of course the single arm that’s gotten through. I had to leave this house. I knew how hot the shadowy hands would be, from the fire, how their grip would singe through my flannel shirt and my cotton shirt beneath it and even the shirt beneath that, to what’s left, which was my skin. This is how it feels to be Lauren so much of the time, this image, this sense of someone on the other side of the wall forcing their way inside. And at the same time, that’s her, too, caught in walls she can’t dig her way out of, trying to explain what she sees and what she knows, and it’s like no one on the other side can hear her enough to believe her. For spotlights on more images from my 17 & Gone inspiration board on Pinterest, keep following this blog tour! 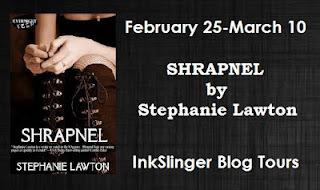 Dropping in today is Stephanie Lawton to celebrate the release of her latest book, Shrapnel! Considering the number of wars in history, what made you decide to go with the Civil War for Shrapnel, rather than another one? My husband and I were watching an episode of Brad Meltzer's Decoded that focused on the Knights of the Golden Circle, a real group charged with protecting the Confederate gold. Since moving to Mobile from Ohio, we've had to rethink everything we'd been taught (from a Yankee perspective) about the Civil War. 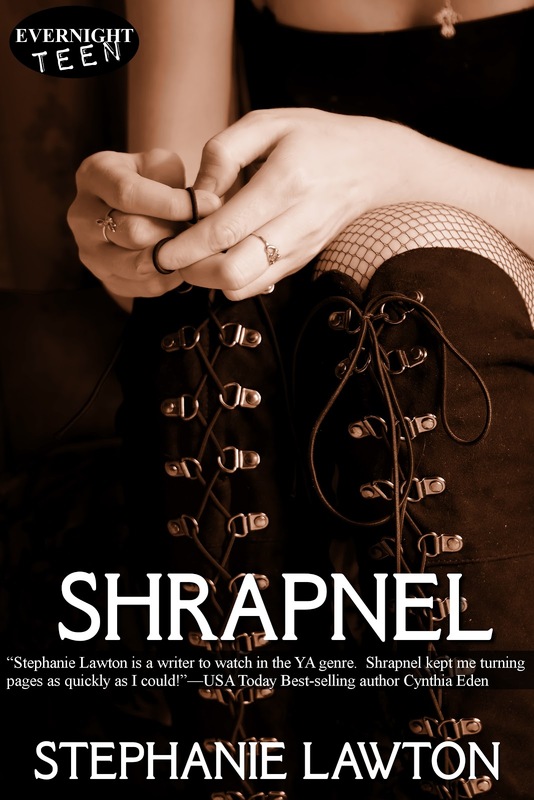 Combined with Mobile's Civil War history and my husband's life-long interest in that war, we put our heads together and came up with the basic premise of Shrapnel. If you were on of the ghosts Dylanie encountered in this book, what would you do? There are really only three, and they're all extremely different. I can't give too much away, but I'd probably interact with her as much as Jackson, Ethan and Agnes. I imagine it would get pretty frustrating hanging out in limbo with no way to communicate. Finding someone with Dylan's abilities would be totally exciting, and I can see how easy it would be to freak someone out, lol. Which character was the most challenging for you to write? Ashley, hands down. 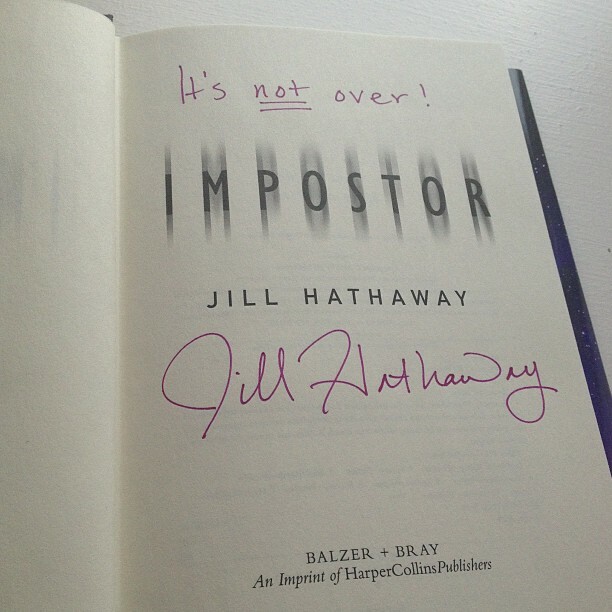 She's the most "normal," in that she's a goody two-shoes, easily scared and a bit whiny. Her story and ability is very crucial to Shrapnel, plus she provides a great contrast, but I love writing snarky, sarcastic characters. She got a little easier to write by the end, when she comes into her own. If you could pair Dylanie, Jake and Ashley with any character from any book, who would you pick for each? Oh, my. Jake would love Silla from Tessa Gratton's Blood Magic; Ashley would need someone with a strong, level-headed personality, so maybe Michael from Myra McEntire's Hourglass series; and Dylan ... wow. I'm not sure if she needs someone stronger than her or someone she can push around. *checks bookshelf* Dylan and Sabastian from Kelly Keaton's Darkness Becomes Her series are kindred spirits. He'd get a kick out of her dark sense of humor. White chocolate chunk macadamia nut :) I'm so pale I'm almost transparent, I'm a little, uh, "thick," and I'm definitely nutty! Now for your chance to win 1 of 5 e-copies of Shrapnel, just fill out the form below! 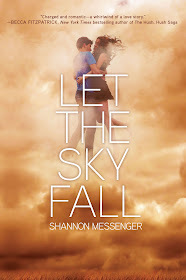 It's release day for one of my favorite books of 2013, Shannon Messenger's Let the Sky Fall! This book is so much fun, and to celebrate, I've got an interview with Vane, the hilarious, awkward, adorkable lead guy for you guys! 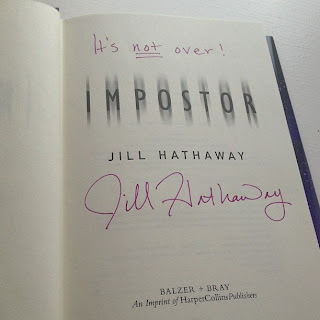 And because this is a celebration, I've also got a contest, so let's get to it. So. You're a sylph. What's that like? Weird. Like, some of the things I can do are pretty cool--and it's nice that all the crazy crap in my life is finally starting to make sense. But I'm still trying to wrap my head around the fact that I'm like ... a mythological creature. And part of me kinda wishes I could at least be something people have heard of. Admittedly, you have a pretty bad history when it comes to first dates. What's your most embarrassing dating disaster? Okay, first of all, those disasters weren't my fault. If Audra hadn't been out there playing "Chaperone from Hell" I would've been just fine. Well ... mostly. I might've screwed up a few on my own--but that was sorta Audra's fault too, since I was miserable on those dates because they weren't with her. I guess the worst time was probably when I took a girl to the date festival. It's this lame carnival thing we have once a year to celebrate a squishy fruit that looks like a bug--but it's one of the only things to do around here so everyone goes. And hey, the date shakes are awesome. But right around the time I started to make my move, there was this loud farting sound--and she refused to believe it wasn't me, even though it WASN'T. There's a reason they call it "breaking wind." And if I needed proof that Audra can be evil, that would be it. Now that I've poked fun at that, if you could take Audra out, what would be your perfect first date? Audra likes to train before sunrise and I am NOT a morning person. Uh... haven't we already established that I'm an AIR elemental? Water isn't really my scene. I mean, I don't hate it. But I kinda prefer AIR. Plus, yanno, I've already found out that I'm one kind of not-human creature, not sure I want to be ANOTHER. Though if you think that's a cop-out answer I'll say Kraken. Just cuz, yanno, it's a KRAKEN. So there's a bit of a glimpse at Vane! 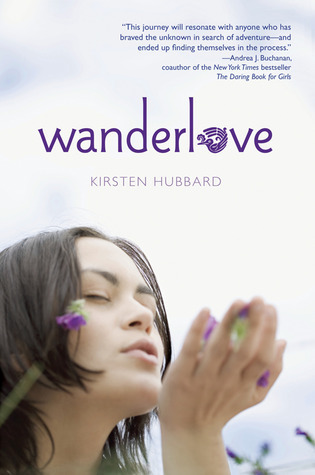 This one is out today, so make sure you pick it up so you can get to know not only him, but Audra as well, plus the awesome world Shannon's created! 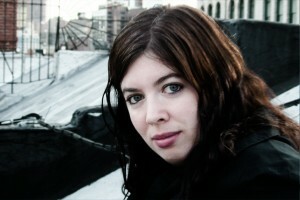 Want to know more about Shannon and Let the Sky Fall? Check out all the stops on her tour and her website! And now it's giveaway time! Just fill out the Rafflecopter form below to enter!